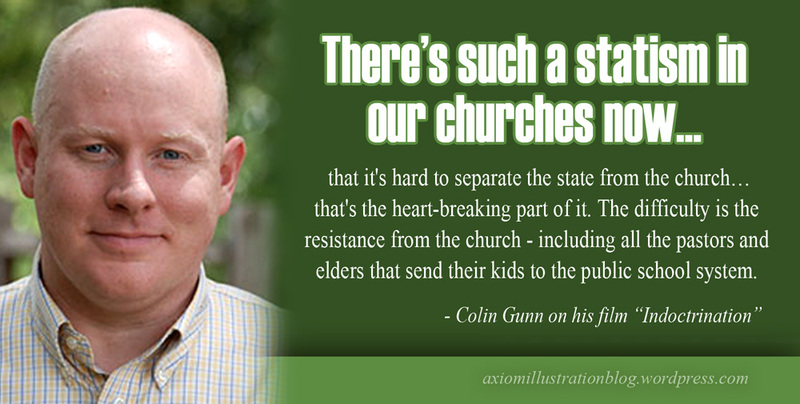 I recently listened to Colin Gunn on Reconstructionist Radio’s War Room Podcast (see the interview here). For those of you not familiar, Colin Gunn (read more about him here) is an award winning writer, director, producer, animator and game developer whose impressive work also spans a number of documentary films! In the podcast, Gunn discusses how the creative medium of documentary films can convey history and impact culture. 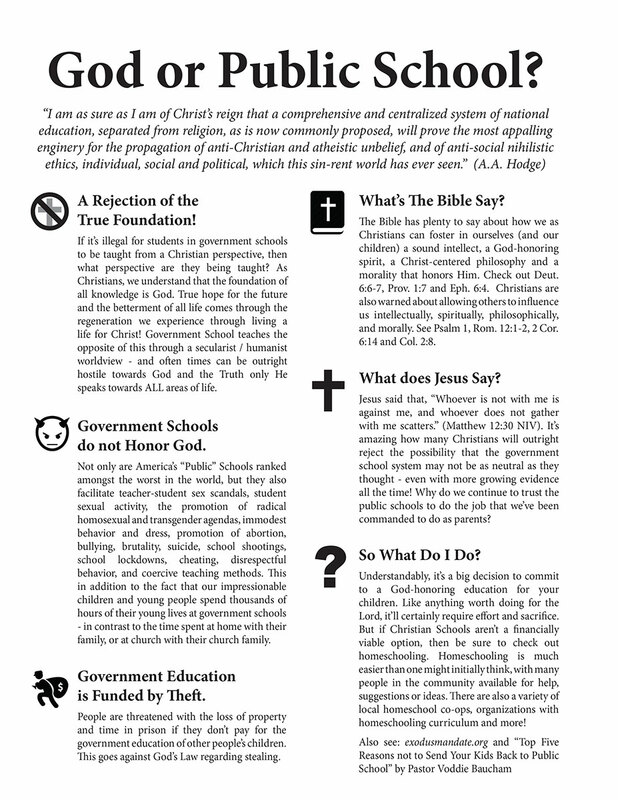 He also talks about government school indoctrination (as well as his Indoctrination movie), the unfortunate response many Christians in America have towards attempts to educate on Public School (which inspired the above cartoon), national socialized medicine and a lot more. Also see: The Indoctrination Movie and Five Reasons NOT to Send your Kids Back to Public School by Pastor Voddie Baucham. As always, don’t forget to follow this blog or share with a friend! Also be sure to check out my Artwork tab (where a lot of awesome christian cartoons, illustrations and resources are available to help share His Truth via social media and more), as well as the Artist Page (where you can find interviews with great Christian artists)! And don’t forget to check out our books and resources tab, as we’ve got some really great ebooks, pdf resources and outreach materials available for you to use for FREE! Until next time, have a great day!